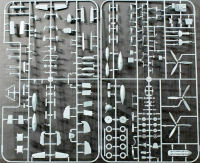 Eduard is back with this Bf 109G-5 release. Externally, the Bf 109G-5 looks identical to a Bf 109G-6 as it is a G-6 with a pressurized cockpit. 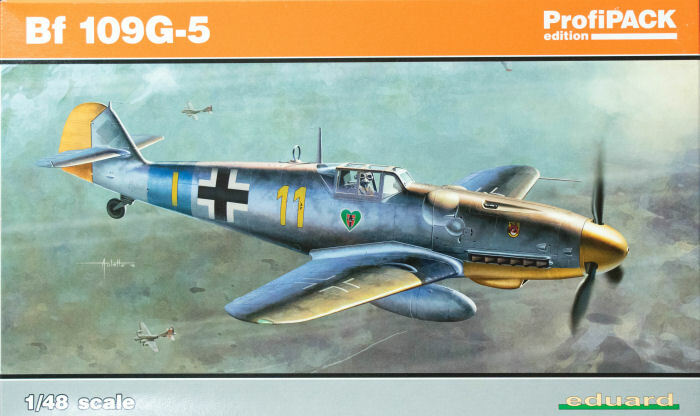 This is not to be confused with the Bf 109G-5/AS with the DB 605AS engine or the Bf 109G-5/U2 that has the aerodynamically clean cowling (no blisters). According to Wikipedia, 475 of these G-5s were produced and Eduard provides some distinctive markings to showcase some of these aircraft. The decals are provided on two sheets and provides the distinctive unit and airframe markings as well as very thorough set of maintenance stenciling for the airframe. Eduard made a point about how their updated decal process produces decals as good in quality as Cartograf and one advantage Cartograf has is the ability to print very fine and legible stencils. Looking at these two sheets printed by Eduard, if they aren't as sharp as Cartograf, they're really darned close. This is another nice release from Eduard with some distinctive subjects right out of the box.